During the Summer Solstice, the sun’s energy is at its highest point in the sky, heralding the start of a new season. Native American culture believes this to be an optimum time to reflect on the seeds planted in the earth and in our souls. It has historically been a time of rejuvenation for many cultures. Enchantment Resort and Mii amo will honor Summer Solstice this year from June 18-24, complete with events ranging from drumming to traditional dance performances and special dinner gatherings. Teachings include vision quests, medicine/healing, spirituality, stargazing, archeology, and music and dance all led by the resort’s Native American Program Director RJ Joseph and Native American elders, musicians, dancers and leaders from the surrounding communities. Loretta Barrett Oden, Native American chef and host of PBS’s Emmy-award winning culinary series Seasoned with Spirit, will also partake in the festivities offering cooking demonstrations featuring Native American cuisine. 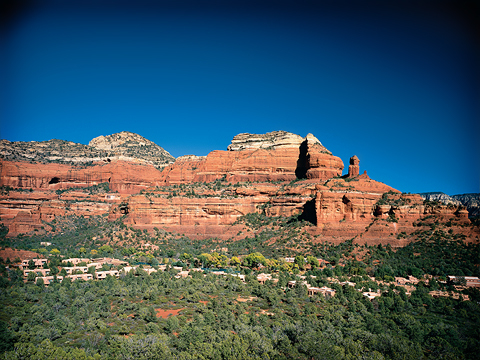 Surrounded by the towering red rock walls of Northern Arizona’s Boynton Canyon, Enchantment Resort combines the rugged grandeur of the Southwest landscape with equal parts luxury and Native American culture. .